B4HEART - Humanity Envisioned And Realized Together! | Tune Intuit: Wake Up; Believe, Hope and Go Viral… AMEN! 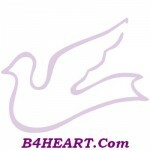 B4HEART.com is an Inspiration of Hope in the Name of Humanity! It is an On-Going Work-In-Progress. Our GOAL is to Enlighten Hearts and Minds in Pursuit of World Peace. Our Aim is to Dynamically Wake— People Up via Insight as a Spiritual Revolution; and Inspire Mankind to Focus and Participate for the Betterment and Benefit of All, as Peace and Mutual Understanding are Vital to this Cause. Conclusively, this Website is a Platform, a Resource for INTENT— Dedicated to Bringing about Conscious Awareness as Compassionate Change; Hope, GoodWill and Fulfillment— Worldwide, Here on Mother Earth (Gaia), via B4HEART! Welcome to our Out-Reach Program for Parents, Teachers, Teenagers, Tweens, Children and the Any-Bodies that CARE Enough; to Engage in Dialogue, as well as Critical Thinking. Fundamentally, We are a Voice for Concern, Where We Can Exchange Ideas about the Problems that Plague our World Today. Accordingly, Collaboration, Cooperation, Coordination, Trust, Respect, Diversity, and Inclusion are the Keys— to Ensure Efficiency, Peace, Harmony and Prosperity — Co-Existence; Amongst Our Diverse Cultures, Customs and Beliefs. In Essence, Everything is Inter-Connected; ONE- BIG-Cause-Effect Relationship. Inter-Dependence, a Family of Earthlings. Unfortunately, Co-Dependency is Classified as a Psychological Disease. But Irrefutably, Nobody is Perfect. Everybody has Troubles. Everybody is Addicted to Something; Either Physically, Mentally or Emotionally. Consequently, Human Relationships SUFFER. Ironically, Bad-Habits Die Hard as Burdens Weigh on Our Minds? Routine is a Form of Contentment. Most Humans Fear Change as They Prefer Their Safety Zones.’Misery Loves Company’. Thus, JOY is Taboo; to People who are Jealous of Anothers Happiness. Inadvertently, We are All Dysfunctional in One Way or Another and Co-Dependent on Something or Somebody. Sometimes, Coping With Life, Seems Impossible. Temptation is Too Much to Bear, as Alternative Resources Pacify for a While. Poor Desperate Souls, Some are More Desperate than Others; Confused Beyond Belief, as Life is a Challenge. At Times, It Is Difficult; Uncertainty Can Be Scary. Engaging In Rewarding Stimuli is Natural. But it Too, Can Be a Liability; It Should Not Become Compulsive. Experience is Our Teacher. We Live and Learn. Don’t Play the Blame Game. We are Responsible for Our Actions. ‘Necessity is the Mother of Invention’, But at Some Point, All Humans are Vulnerable at Certain Times. Panic Mode is Frightening and Spontaneous as Perplexing Situations are Thrown Out of Proportion. Impulsively, Imagination Dramatically Runs Wild as Hope Silently Observes; Waiting Patiently, to Intervene. Typically, We All Have to Learn How to Deal With Urges, Rejection, Frustration, Criticism, Ridicule, Contradictions, Speculations, Disappointments, Hurry, Worry, Objections, Betrayal, Distrust, and Sometimes— Desertion. Unfortunately, They are But Facts of Life. However, Grief Can be Devastating as Death Too, is Also a Fact of Life. Alas, We All Lose People that We Love and, It is a Wake-Up Call. We Realize How Fragile and Precious Life Truly Is. Reluctantly, We Also Realize that We All Have to Die Eventually. We Reminisce about All the Good Times that We Shared Together, Time Wasted Apart. We Wish that We Could Have A Second Chance, Maybe One Last Kiss, a Hug or a Simple Farewell. Subsequently, Some of Us Learn to Pacify Ourselves, While Some, Suffer in Silence— Alone. Others get Labeled as Crazy? Others Still, Act Out— Protest or Rebel to get Attention. What about You? Are You a Crazy Rebel? How about Our Children? Why Shouldn’t They Rebel? Wake Up! Our World is Messed Up! Beware of Ulterior Motives. Do You Have— ‘A Plan For Tomorrow’? The System is Corrupted. Why? Ultimately, We are Blinded by Misconceptions and Logic. Which makes Life Complicated. Beware of Manipulation. Egotistically, We Think that We have an Image to Maintain as We Make Up Excuses; Despite Our Regrets. Sometimes ‘Ego’, has no Conscience. It can be a Greedy Enemy Within. Sometimes It can Create evil. However, It Too, Longs to Be Loved. But, Who’s in Charge? Trust Your HEART; as IT Knows RIGHT From Wrong! Preconceptions are Absurd. Beware of Assuming! Don’t Deceive Yourself. Prejudice is but a Misleading Impression which Impairs Your Judgement. Some People May Seem Strange or Weird? But Nevertheless, We are All Blessed with Reason, Free-Will, Wonder, Curiosity and Intuition. Don’t Ignore These Gifts. Utilize Them. Life is Meant to be Explored. It is More that a Matter of Survival, It is a State of Being. Essentially, ‘State of Beings’, Vary. Some People are More Evolved than Others, as We Participate Here, on Planet Earth— Together. Coincidentally, Some People are Just Plain Evil? Beware, Economic Slavery is Disgusting. It is Time to Stand Up To and Confront— ‘The EVIL Powers That Be‘, Whom are Manipulating Our DESTINY. Drastic Times Call for Drastic Measures! Phenomenally, Caricatures Galore, Life is Surely Interesting. However, Multiplicity Can Be Confusing as, We are All Different; Yet SPECIAL. We May Seem Strange to Some, Perhaps Even Stranger Still— to Others. But, We Are All Here For a REASON; Despite Adversity, Ulterior Motives, Disagreements and Lawyers. “Simplicity is the ultimate sophistication.” — Leonardo Da Vinci. Contemplate! Silence is a Prerequisite for Clarity. Sometimes, it is Hard to Gather all Your Thoughts and Make Sense of Them. It is an Internal Struggle. Life itself is Fascinating; It can be Bizarre, Fantastic, Awe-Inspiring and at Times— Give You the Willies. LIFE is WONDERFULLY WEIRD. Nobody Has the Right to Exploit, Injure or Infringe Upon Us or Our Discretion; via Transgression. “The boisterous sea of Liberty is never without a wave.” —Thomas Jefferson. Mysteriously, Idiosyncrasies are but Characteristics of Mankind as Persona is Unique. Mentality, Aptitude, Priorities, Ideals, Visions, Perspectives, Sentiments, Passion, Interests, Motives, Urges, Admirations, Convictions and Circumstance— All Vary. Define Sanity. Inclinations Clash, Tempers Flare. We All Have Feelings. We All Get Angry When Our Feelings Are Hurt.